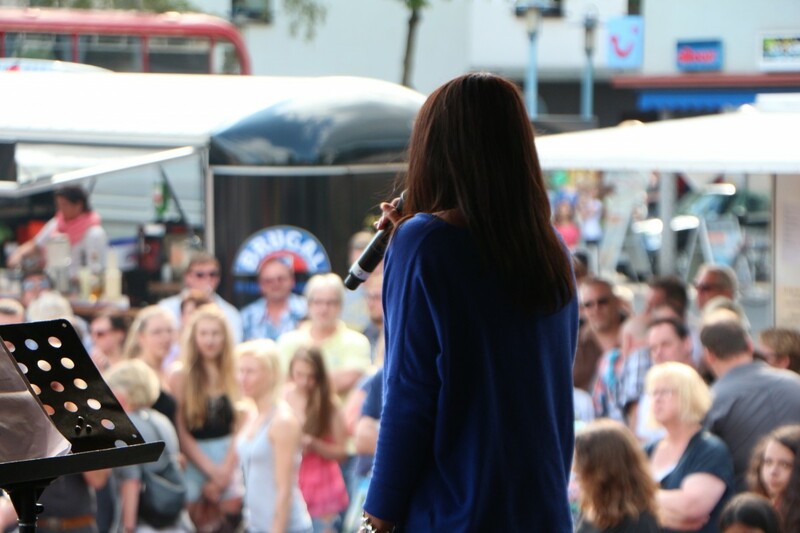 Home >> Advice >> How to Get Music Gigs as a Singer or Band: 7 Tips! If you are an aspiring band or singer, or perhaps have been in the game a long time, the process of getting gigs can be really hard. This is particularly relevant at the moment, as there has been an explosion in new singers and bands emerging over the last decade. There are so many musicians on the scene that gig opportunities are becoming more and more hard to come by. So how exactly do you set yourself apart from the competition? How can you book gigs for yourself? But, simply; how can you get gigs right now? Read on below for some of our tips for success so you can secure more opportunities this year. Learning how to get music gigs is one of the most important things to master if you want to succeed in the music business. 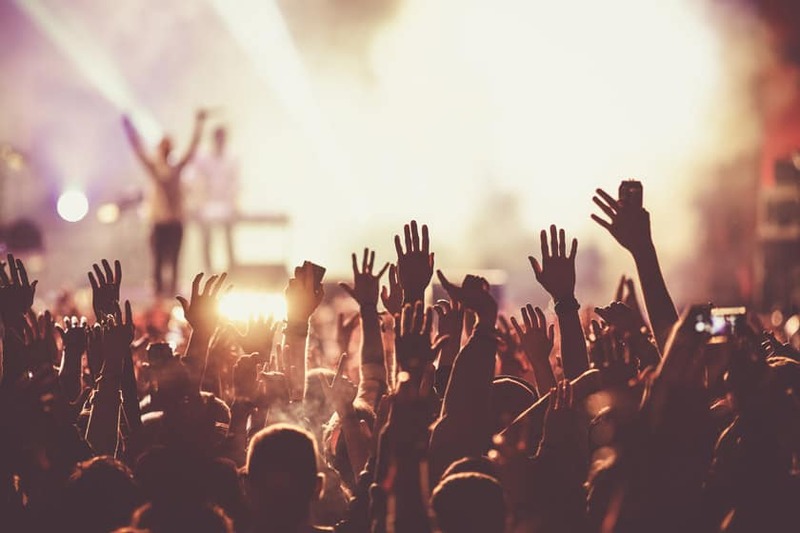 Live music gigs are integral for getting your music heard by the right people, giving them something they can’t get from a studio recording – LIVE ENERGY! Gigs are instrumental in building up a fan base. Here are some ways you can increase how many music gigs you can play and perform at this year. Don’t just stick to the venues most of the other musicians, bands, and singers play at! There are some great little places that could be looking for performers. For example, smaller venues such as pubs, bars and restaurants are more likely to book an un established act, which gives you the opportunity to build your fan base and get your music heard. This will then further increase the likelihood of you getting booked to play larger venues. Try to find the direct contact details of the people responsible for taking bookings. Name, address, phone numbers, email addresses, are the obvious ones, but you could also try to connect on social media! This reduces work time in the future and gives you a point of reference for the future. Talk to other musicians and singers in your area. By building great relationships you could get contacts for even more music gig opportunities, or even be the first one inline for an opportunity should another singer have to drop out of their gig. Open mic nights are great places to build relationships and make contacts – you can read more about that here. Any self-respecting singer, band, or musician should create themselves a press and PR kit (see what you need to include in our guide to press kits). At its simplest, this should contain: your contact information, links to all social media pages, a brief biography, the music you play and your experience. This will aid the venue to see what music you play and see where you have played before. If within your budget, include photos and a demo. Remember to keep it simple and engaging preferably concise on one page. As well as the press kit, one sure fire way to get more gigs is to make sure you have a clearly labelled demo to hand out. Whether that’s in a physical CD format, or a link to your singing and performing on social media channels, get it into the hands of the people responsible for making gig bookings. Bear in mind, that venues and promoters will receive many demos from artists, so think of ways you can make yours stand out from the crowd. The most important aspect is to make sure you have promo material and demos that are suited to the venue you are approaching for a gig. For example, a Italian restaurant might not appreciate you heavy metal cover versions, but could really be interested in a nice acoustic demo or acapella singer. The most successful singers who started out getting gigs in their local area are the ones who understand their audience and target market. Now you’ve got your comprehensive list of venues and contacts, the next step is to start sending your press kit and demo to as many gig venues as you can! Phone each venue and ask to speak to the manager or booking manager. This way you can ask whom is best to send your email or press kit to. Not all venues you contact will lead to anything! In fact the vast majority won’t, so don’t get disheartened. Even if only a few get back to you, it’s time well spent! Getting those first few shows is most important. You can quote playing these venues when applying for future gigs! As you improve most gigs should present itself with more opportunities, getting regular gigs to start with is the hardest part. In the meantime, it’s time to get networking! Attend as many gigs and live music nights as you can. Try and perform at Open Mic nights. This will give you experience playing to a crowd and meet like minded people. Befriend other musicians, especially local ones. They can suggest venues, introduce you to their contacts and maybe even offer you to play with them! Ask more established artists if you can open their show for them! This will get your music to a larger audience. Of course, you may have to repay the favour! How much you should charge as a singer? There are many venues who will expect an up and coming singer or band to play for free. But, worse than that, you might even come across venues taking advantage of your appetite for getting more music gigs, and might even ask you to pay to play! Paying to play should always be knocked back. It sets a bad precedent and just means that venue will continue to operate in this way, taking advantage of local singers wanting to get more gigs. The free gig booking is a little different though. If you are just starting out and want experience, this could be a great way to learn the ropes. It can also lead to future singing gigs with a venue once you have proved your worth. Know your worth, and don’t get taken advantage of! If you are still struggling to find a gig (for example, how to get a gig in London is far more competitive due to the huge amount of artists!) then why not consider starting up your own event? For bands, you might start up a battle of the bands night. For singers, you could even approach a venue with the plan to put an open mic night on. Or, the most common scenario which will probably work best, is looking for local venue which don’t have any live music. This is probably the best route you can go down if you want to know how to get gigs as a singer right now. We hope that those 7 tips on how to get gigs as a singer or band have given you some inspiration. Here is some more advice which we recently added since first publishing this guide. How do you get gigs at a restaurant? Just like restaurants have different menus and food types, the singers singing there also need to be of a certain type. It’s critical to research the type of restaurant you are approaching, and present yourself as the best fit. Call the restaurant and ask to speak to the member of staff responsible for entertainment bookings. Give them a set-list and demo that matches the type of restaurant and clientele. Think about the space in the restaurant, and whether you will be able to fit your music gear in there. Dress appropriately, don’t be later, and be professional and polite at all times. Get your friends to book a couple of tables on the night of your debut. How much do music gigs pay? The variance here is far too wide to give you a “one size fits all” answer. You might even end up playing for free when first starting out. What we have done though, is put together a list of things musicians can do to earn more money. Have a look at that advice guide, as it contains some examples of what music gigs might pay depending on the situation. If you’re interested in exploring other avenues for getting gigs, check out BandWagon, as they offer a great service as the middle-man between promoters and bands. Top promoters list any gigs they are putting on that require extra acts, and members of BandWagon can apply for them! They also host a premium service for getting paid gigs so check them out and start making some money for what you do!